Fantastic! Thanks for passing these on. Especially the first one about the fake seams. Simple and a perfect solution! Love it. You’re welcome! I just finished my first of two watermelon cardigans for my (baby) nieces. I didn’t do the fake seam. I thought it was unnecessary, since it was so small, but now I regret it. Once you start, you won’t stop – sweaters sit so much better with them. My first ever jumper for me was a top down seamless affair from Ravelry (where else?). I think it would have been much better with some seams as it would have made the waist shaping less visible. Anyway, obviously lots to learn still! I always used to use the technique of leaving the underarm stitches on holders, and just grafting them later. 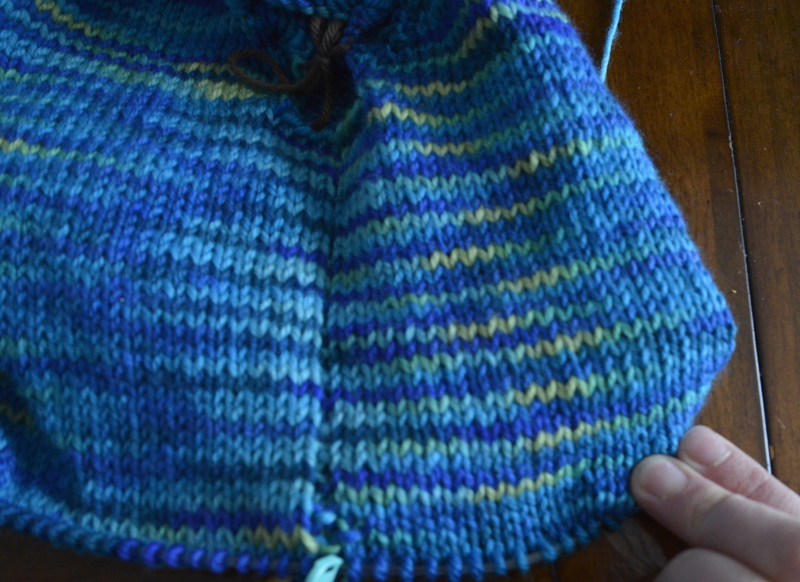 However, I now prefer just to bind them off and seam them. I find that the grafting technique tends to leave holes at the beginning and end of the row of stitches that I have to seam anyway, so it’s easier just to bind them off and sew it all up later. You’re right! I did have to close the gaps on either side of the graft. I like the smooth inside that the graft gives you, but it isn’t really necessary in an underarm. 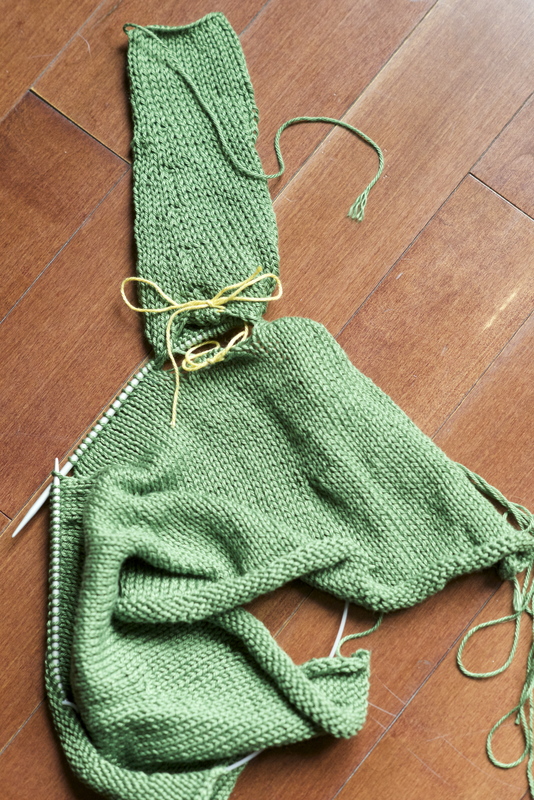 Now that I’m confident with my seaming technique, I think I’ll give that a try. Thanks.